As a blogger, one of the biggest hurdles you will face in your blogging journey is: “What should I write about?“ Writing articles take time, and there are opportunity costs involved. If you write an article that no one wants to read about, your investment of time and energy does not give any returns. Your readers are your customers. Your content is your product that you sell. As with any business, you can sell only what your customers want. So how do you find out what your customers (readers) want to read about? There are several methods, but today in this article I will reveal a method that I have been exploiting for quite some time. 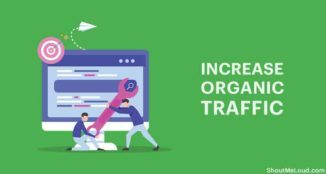 The method is so powerful that every time I mine a keyword and write an article on that topic, it always ranks well in the search and attracts a good volume of organic traffic. Once you read this entire article, you will understand how it works. The only requirement here is, your blog needs to be submitted at Google search console ( Previously Google Webmaster tool). I assume you have already done it & if not, here is a guide to do that. I have explained the articles in 3 section that will make it easier for a complete newbie to get started with it. If you are a blogger or a webmaster, I am sure you have a Google search console account. 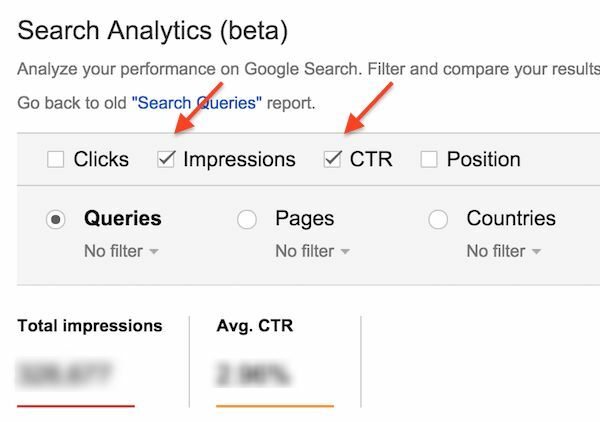 But have you checked the Search Analytics (beta) feature inside your search console dashboard? 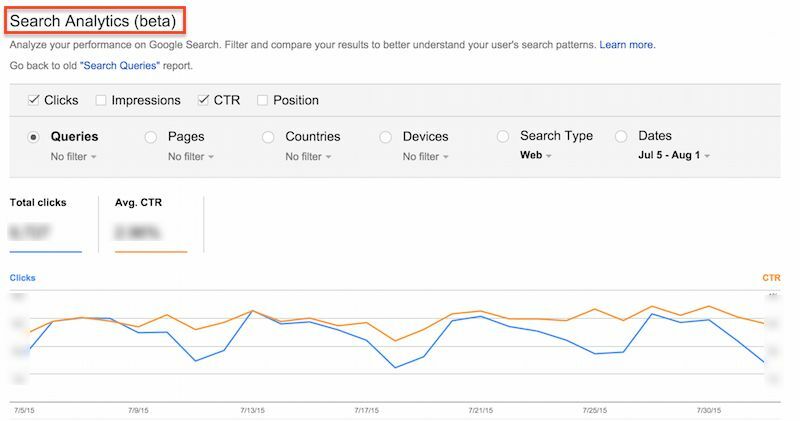 Search analytics will show you details about keywords, clicks, impressions and average position of your site for a particular keyword in the Google search results. It will show you the keywords that triggered an impression of your site’s result, even if no one clicked on it. 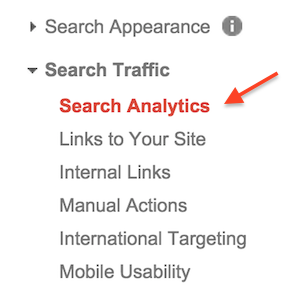 Click on ‘Search Analytics’ under the ‘Search Traffic’ tab. You will get options for selecting clicks, impressions and CTR. Just select Impressions and CTR. You can leave the others unchecked. Click on Download at the bottom of the page. Save it to Google Docs. We are exporting this data to do some analysis that will result in new keyword discovery. It is not possible to do the keyword analysis within the webmaster tools dashboard, and you need to export the data to Google sheets. Now, open the sheet & sort the entire data by impressions and remove around 50%-70% of the keywords that have very low impression count. We do this because we do not want to deal with low sampling size. There will be a lot of keywords with one impression and one click, and it will have 100% CTR. We don’t want to look at those keywords because such keywords are rare, and it will never be searched again. In my case, I removed all the rows which have keywords with less than 50 impressions. 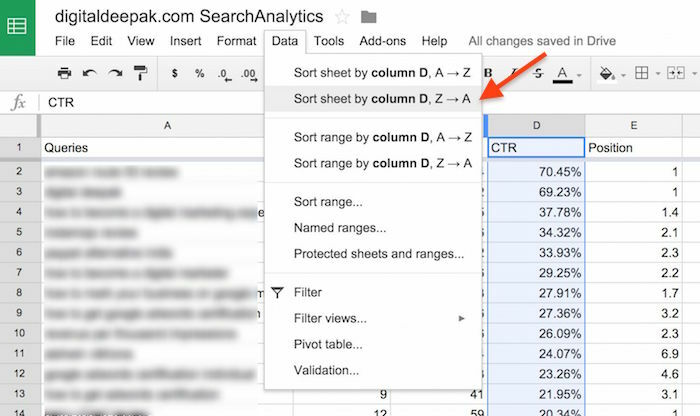 Now sort the sheet again by highest-to-lowest CTR. Now we are getting a list of keywords which has a decent amount of impressions and a good CTR. If you look at the keywords which have more than 50 impressions and a good CTR, it means that people are searching for that keyword and are also finding your result relevant and clicking on your website’s link. Start looking at the top 100-200 keywords. You will find out that many keywords are highly related to the pages that you have already published, BUT you will also discover keywords in this report that is not directly related to the article topics on your website. You will see keyword variations and some keywords that are not relevant to your pages, but people search for it and end up clicking on your website! This happens because when someone searches for something Google will never show partial results (like 2-3 links alone). 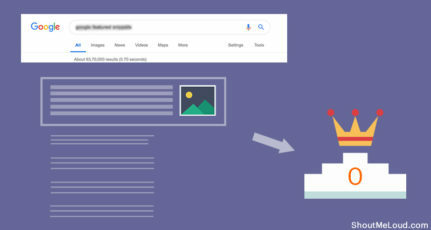 Google search will always try to fill up the entire page with relevant results, even if the relevancy goes down drastically after the 1st or 2nd result. So if someone searches for a certain keyword and if there is no relevant result for it, Google would have shown your page even if the relevancy is very, very low. If you have mentioned about a certain keyword inside your article (even if that whole article is not about that keyword), that link may end up getting clicked. 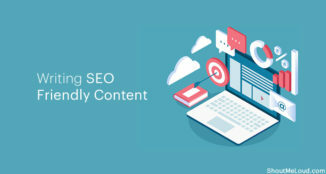 This means that if you can write a separate article targeted for that keyword, there is a LOT of chances that it will rank very well, people will be searching for it and they will click on it. You can follow this guide to learn to write a keyword optimized blog post. When I was looking over my report, I saw this keyword showing up on my report: “importance of digital India”. I have never written an article about that. But one of my website’s link has got 162 impressions and 11 clicks in the past one month alone. It also has got a pretty good CTR of 6.8%! 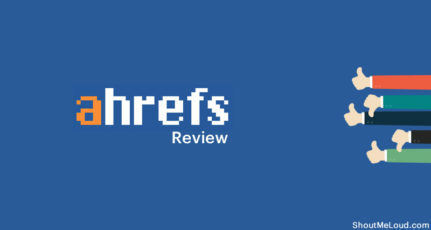 This report will not show you which link on your website was shown or clicked on. But you can find it out manually in most of the cases. I searched for this keyword in Google, and I noticed that this article is showing up for that keyword. The article is getting triggered on Google search because the keywords digital and India are included in my article. Now I know that this keyword is searched for well, and also there are not enough relevant pages in Google’s Index. That’s why my page is showing up even if there is a very low relevancy. This means a great opportunity for me. I can write a detailed article about “importance of digital India” and there is an excellent chance that I will rank very well in the search results for this keyword without much effort. Keyword discovery is an integral part of digital marketing strategy for businesses. Keywords give us an idea about what our customers want and the words they use to find out solutions to their problems. Keyword discovery does not stop with this method. You will discover new keywords even when doing activities like talking to your customers. 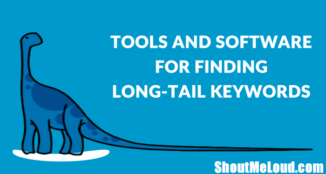 Keywords are important not just in SEO and SEM but also in copywriting. You have to use the words that your customers use; else you will not be able to make the connection with them. I will be writing more articles on how to reach customers online, so stay tuned! This is a guest post by Deepak, who blogs about digital marketing at DigitalDeepak.com. Check out ShoutMeLoud guest submission guidelines. Your post really made easy for me to find my desire keywords that really generate profits on my blog and my clients as well. Thanks for sharing this terrific post. It was awesome diving in the keyword research topic. Once I dived and came out with the keywords which are ranking in the search page. It was an awesome trick to search the new keywords from the existing one. By using this method, we can get to know what keywords are already ranking for your blog or website. Everything was clear, but If you tell us about using these existing keywords to search news ones, then it will be good for me and other visitors. I hope you will solve my problem because I really do not know what to do next with these existing keywords. Tell me one more thing. Should We use keywords with the high impression with low CTR and even some cases it is 0.0%. What is the ideal case of impression and CTR for a particular keyword that a marketer should choose? It’s an amazing & Innovative idea! Thanks bro to share with us. Hello Deepak, I would like to say thank you for this article, it really helps us beginner in blogging. I would love to read more article like this one 🙂 Keep sharing. Wow! It seems great to find more profitable keywords for our blog. Really finding good keyword is something hard until we follow some strategy. Honestly i did not use this method before. And it is most liked by me because it also free! Anyway, thanks a lot for sharing this useful article with us, Keep it up. Thank you very much for sharing this valuable information, really helpful for me, I am continually using Google Search Console but never try Search Analytic (Beta) for discover new keyword. 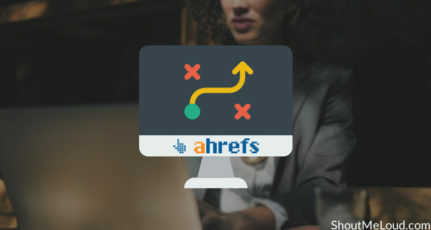 After reading this article I am using Search Analytic and get more valuable keyword for my website. It’s really helpful. See you soon with valuable information. i’m using semrush for a long time now and i find semrush research pretty good and it helps me out for quality seo anchor text and yeah your article gave another set of information to my knowledge set thanks deepak great article.. used your some suggestions and it works good.. I have to admit that I didn’t knew that there is a such a powerful free tool providing do many benefits. I realise now that I know very little about blogging and I have to learn many things in order to go forward. Thanx for such an informative post bri, it was worth your effort.